» How to Celebrate Diwali (Festival of Lights) the Best Way. How to Celebrate Diwali (Festival of Lights) the Best Way. 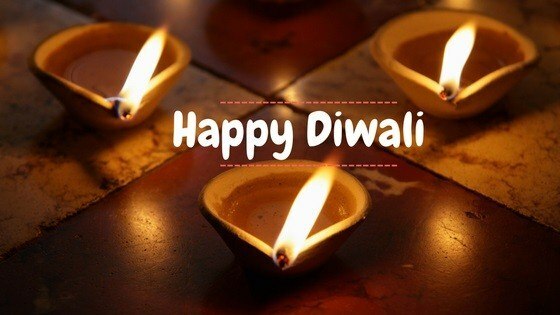 Diwali or Deepawali is a Hindu festival of light. But, it is more than just a festival. It is a symbol of victory over darkness. It is a symbol of victory of truth. The festival is celebrated all over the India and parts of localities across the world where Indian population resides. The festival is celebrated by lighting oil lamps, candles at home, wearing traditional outfits, bursting firecrackers, distributing mithai (sweets) and worshiping the Goddess Lakshmi. It is usually celebrated either in October or in November. With so much festive and excited feeling let us add some safety and health measures to make it safer and enjoying. Here are 13 Ways to make this festival really special. You may have a long list of friends, colleagues you did not meet for a long time. You could have planned many times but it did not go the right way. It is a good time to celebrate and be social with them. Avoid wearing loose clothes like the scarf while bursting crackers and lighting lamps and candles. You may not avoid but reduce your sweet intake with fruits. Consumption of added sugar is never recommended because it has ill effects that do not do any good for your body. Yeah, you’re celebrating but limiting your portions would also control your calories which could lead to the better waistline. Don’t light the crackers so close. Keep a distance. Crackers should be burst in an open space mitigating any risks if the fire breaks out. You should plan and execute all the possible efforts to reduce the chances of catching fire through crackers. Always have a bucket filled up with water for an emergency. Children enjoy crackers and may light up them so close causing injuries and burn. If you're with your children ensure they are away from crackers. While using dust masks may not look the best way to keep the toxic smell and smoke away but it could significantly reduce inhaling something that could harm your health. If you suffer from asthma you must keep your inhaler with you. Check it is in a good condition and work when you need it. If you feel breathlessness that is not controllable seeking advice from a professional is recommended. Firecrackers produce sounds that may not be good for your ears. Usually, a 50 dB sound is what a human ear processes normally. Use of earplugs would reduce the impact of sound your ears can not control. However, you’re in a festive mood but keeping all the essential things ready in case an emergency comes out would be an added advantage. Double check all the essential items in the kit and their expiry dates. You may see sweets/mithai everywhere. However, you always have multiple good options left to enjoy the festival as well as keeping your health in a good shape. Nuts have a great nutrient profile which affects your health positively. 12. Eat lesser oily foods. If you control eating oily foods your chances of consuming saturated or bad fat is reduced in a good amount. The tradition of lighting oil lamps is common. But, what types of oil you use for lamps make the difference. Try to use better quality oils which do not produce huge smoke. This is good for your health and environment both. Diwali is a great festival of Hindu Culture. Let us celebrate it with a safer and healthier mood and environment.